Episode 1 : "The Deadly Attachment"
A German U-Boat crew are found drifting in a dinghy and it is up to the platoon to safeguard them until the following morning. The Germans turn the tables on the platoon, and Jones finds himself being marched through the town with a grenade down his trousers, but thanks to Wilson it is only a dummy! 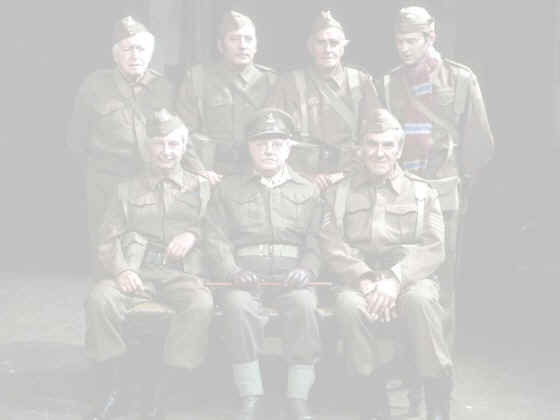 Episode 2 : "My British Buddy"
A party of American GI's are in town and Mainwaring arranges a darts match to welcome them, but things turn sour when the Americans start flirting with the local girls, and Mainwaring ends up with a black eye. Episode 3 : "The Royal Train"
Mainwaring's platoon have been chosen as the guard of honour to welcome the royal Train to Walmington On Sea, but they pick the wrong train and end up driving it out of the station with Pike driving and the Warden, the Vicar and the Verger in hot pursuit with the brake wheel! Episode 4 : "We Know Our Onions"
Episode 5 : "The Honourable Man"
Wilson has inherited a title since an uncle died, which irritates Mainwaring to the extreme, especially since Wilson has been chosen to welcome an important Russian visitor. Mainwaring tries to stop Wilson taking part, which completely backfires on him. Episode 6 : "Things That Go Bump In The Night"
The platoons van runs out of petrol, and they find themselves taking shelter in a very dark and creepy house. They find out it is a school for training tracker dogs, but find themselves being chased by the hounds of hell when they leave. Episode 7 : "The Recruit"
Mainwaring is in hospital having an ingrowing toenail removed. When he comes out he finds that Walker has left for London and the Vicar and Verger have joined as 2 new recruits. Whilst on guard, a cheeky kid gives them both some lip. It turns out that the kid is Hodges nephew. Mainwaring tells the Vicar he should have dealt with the matter better, which makes the Vicar and Verger both take offence and resign.